Exhibitors are located in or near the Exhibitions Building at the San Bernard National Wildlife Refuge Headquarters Campus, near the main entrance to the Refuge. Master Gardeners are local volunteers in your community who work with the AgriLife Extension to increase the availability of horticultural information and improve your community's quality of life through various horticultural projects. The members of the Brazoria County Master Gardeners Association are volunteers who work to improve gardening skills throughout the community. We share our gardening knowledge through community service and outreach, gardener training, and educational programs. ​Brazoria County has a diverse landscape and it is reflected in its parks system. Offering a variety of local settings from beachfront, rivers, bayous, and bays, to bottomland and hardwood forests, there is something for everyone to enjoy. Inclusive to our park system are 9 parks, 23 miles of any beaches, 21 boat ramps, 2 RV campgrounds, historical homes, interpretive center, day-use facilities, playgrounds, a swimming pool, horseshoes, volleyball, picnic areas, and restrooms. We also offer meeting rooms and cabin, dormitory, pavilion, and chapel rentals. The Friends of Brazoria Wildlife Refuges is a non-profit organization dedicated to supporting the Brazoria, San Bernard, and Big Boggy National Wildlife Refuges. We raise funding through donations, grants, and gifts to help fund wildlife refuge projects, educational programs, and other activities. Members of our group are dedicated volunteers who work tirelessly at our area refuges and within our community. Gulf Coast Bird Observatory (GCBO) is an independent non-profit organization. We have designed and conducted a significant number of large conservation projects including migration studies, habitat enhancement, land acquisition, regional habitat mapping, and others. Gulf Coast Wildlife Rescue (GCWR) is a non-profit organization of permitted wildlife rehabilitates and volunteers dedicated to caring for injured and orphaned wildlife for the purpose of release back into the wild. The primary activity of GCWR is to provide food, shelter, medical treatment, and rehabilitation all Texas native wildlife at no cost to the public. We serve the Brazoria and Matagorda County areas along the upper Texas Gulf Coast. The Migration Celebration Bake Sale is sponsored by Friends of Brazoria Wildlife Refuges. All products sold at the bake sale are produced by volunteers. 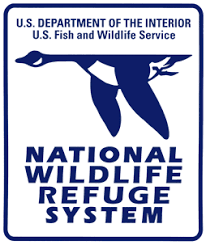 All revenues received from the bake sale are used to support environmental education programs at the National Wildlife Refuges. The Friends' Nature Store will be open for Migration Celebration visitors at the Kickoff Dinner on the evening of Friday, April 12 at Freeport RiverPlace, and on Saturday and Sunday, April 27 & 28 in the Exhibition Building. Items offered for sale include Migration Celebration and Refuge-related hats, T-shirts, tote bags, and other items. The Migration Celebration Nature Photography Contest showcases and recognize outstanding photographs taken by area photographers. Photos are on display at Migration Celebration on Saturday and Sunday, April 27 & 28 in the Exhibition Building, with winners announced at the Kickoff Dinner on the evening of Friday, April 12 at Freeport RiverPlace. The Refuge Junior Naturalist program is a special opportunity for a selected number of children grades 5-6 to work with wildlife biologists and other refuge professionals on projects at Brazoria and San Bernard National Wildlife Refuges. Participants learn basic naturalist skills, such as nature photography, GPS, field sketching, and planting animal identification and then apply these skills to real projects. Sea Center Texas houses graphic displays, aquaria and educational displays of the marine life of Texas bays and Gulf waters. Here visitors learn about stewardship of the environments and its occupants. A collection of fiberglass replicas of state record saltwater fishes, including a Blue Marlin, Shark, Dolphin, and Tarpon hover overhead in the lobby. Sweeny/West Brazos Emergency Medical Services has 5 ambulances, 18 full-time medics, and 6 part-time medics; including Texas certified paramedics, EMT-Intermediate and EMT-Basics. Sweeny Community Hospital has the only ambulances in Brazoria County certified as Mobile Intensive Care Units - the highest level designated by the Texas Department of Health for EMS organizations. Texas A&M AgriLife Extension Service of Brazoria County is here to help Texans better their lives. Through the application of science-based knowledge, we create high-quality, relevant, continuing education that encourages lasting and effective change. What we offer is practical, how-to education based on university research to help your quality of life. We have relevant outreach and diverse educational programs that are here to serve your needs. The Texas Master Naturalist program provides training and volunteer opportunities. The Cradle of Texas Chapter, based in Brazoria County, is made up of people from diverse backgrounds with different experience and expertise, pulling together to positively affect the natural environment. This organization provides many volunteers for Migration Celebration. ​San Bernard Wildlife Refuge is responsable each Spring and Summer for patrolling the beaches from the Quintana/Bryan Beach area west to the Matagorda Peninsula area looking for Kemp's Ridley turtle nests. Both staff and volunteers perform this task. This display will feature information on and equipment used for turtle patrol. The mission of the Galveston Bay Foundation is to preserve and enhance Galveston Bay as a healthy and productive place for generations to come. The USDA-Natural Resources Conservation Service (NRCS) Helps People, Help the Land. Technical assistance is provided to landowners and land managers without a fee for voluntary conservation land management. This assistance helps improve and maximize your agricultural land resources, such as soil and plant health, water quality and quantity, habitat for livestock, wildlife and pollinators. Financial assistance may also be available for installing conservation practices recommended to improve your land and the environment. Migration Celebration is a Texas Mid-Coast National Wildlife Refuge Complex event underwritten by Friends of Brazoria Wildlife Refuge. This website developed and maintained by Amber Bryan. ​Copyright © 2018 Friends of Brazoria Wildlife Refuge - All Rights Reserved.